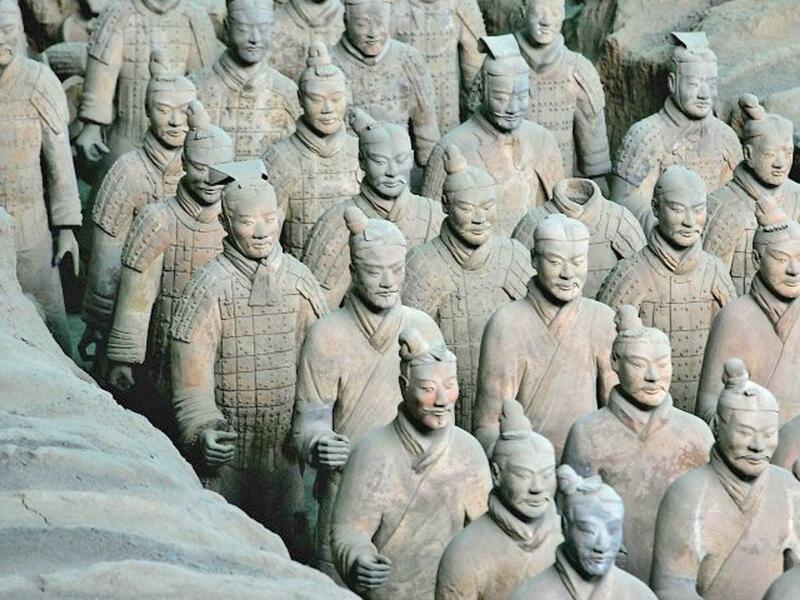 But the researchers also speculated that Greek artists could have been present when the soldiers of the Terracotta Army were made. Other evidence of connections to Greece came from a number of exquisite bronze figurines of birds excavated from the tomb site. These were made with a lost wax technique known in Ancient Greece and Egypt. Previously, human figures have been stiff and stylised representations, but the figures carved on the Parthenon temple were so life-like it appeared the artists had turned stone into flesh. Their work has rarely been bettered – the techniques used were largely forgotten until they were revived in the Renaissance when artists carved statues in the Ancient Greek style, most notably Michelangelo’s David. And Professor Zhang Weixing, lead archaeologist at the tomb site, said: “The archaeological work undertaken here recently is more important than anything in the last 40 years. 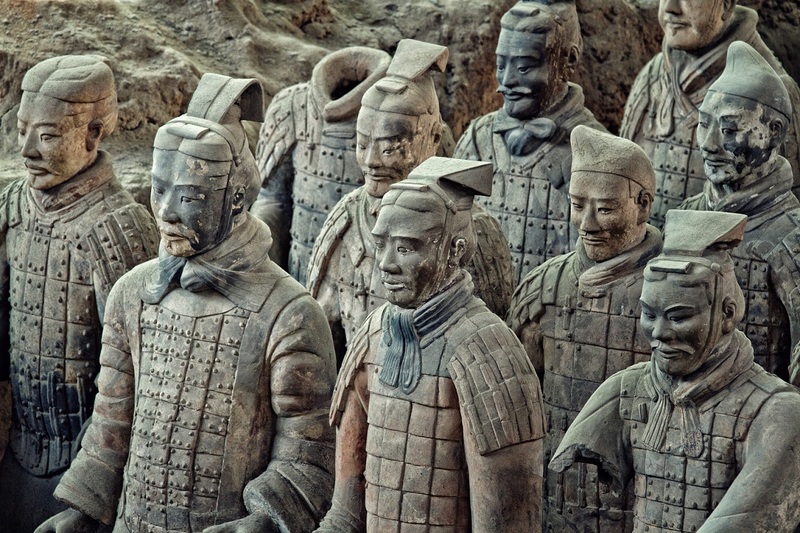 The mitochondrial DNA samples revealed Europeans had settled down in China and died there during the time of the First Emperor and even before then. Hamish Mykura, of the National Geographic Channel, which made the documentary with the BBC, said: “The scope of these archaeological finds and what they mean for world history are astonishing. And BBC presenter Dan Snow said: "I hope audiences will find the new evidence as astonishing and thought-provoking as I did." 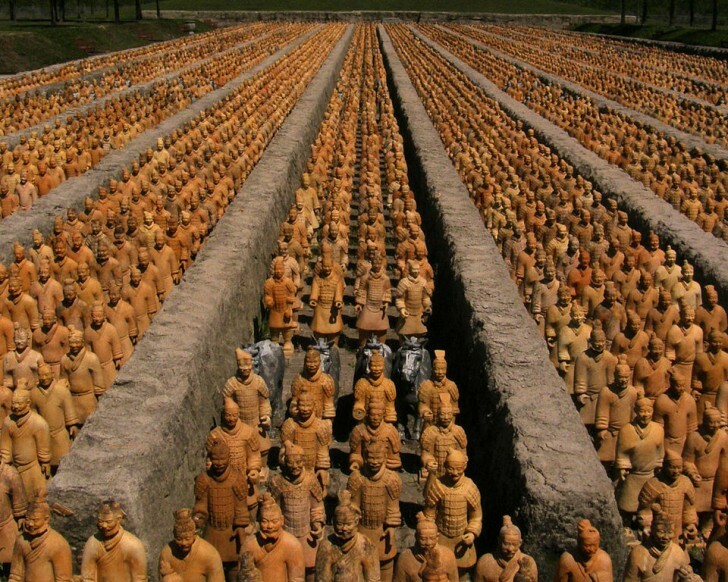 The Terracotta Army – more than 8,000 figures buried less than a mile from the tomb – was found in 1974, but new geophysical survey evidence suggests the complex is much bigger than previously thought at 200 times the size of Egypt’s Valley of the Kings. And the bones of 10 young women buried with precious jewellery made of gold and pearls have been found at the site. Disturbingly, it is thought these women were the First Emperor’s concubines, who were murdered and mutilated as part of his funeral. There are 99 similar graves. And the skull of a very high-ranking male was found with a crossbow bolt embedded in the back of the skull. It is thought the bolt was fired at close range, suggesting the man was executed. 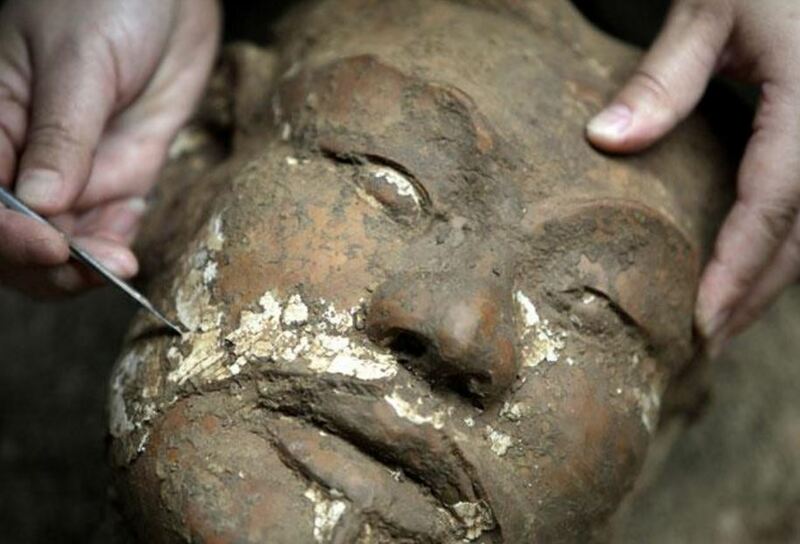 Chinese archaeologists believe it could be the remains of Prince Fu Su, the First Emperor’s eldest son, who was murdered along with his siblings by their younger brother Prince Hu Hai following their father’s death. The grave contains a total of seven different bodies, all of whom had been killed.